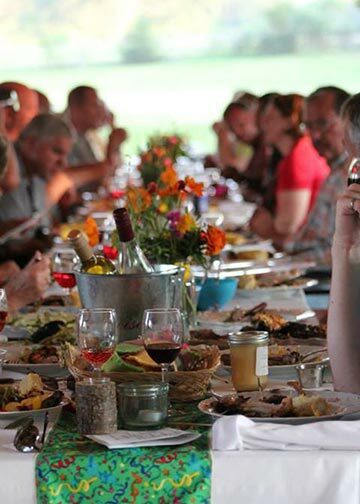 Please join us Saturday evening, August 25th for our 9th annual Field Dinner hosted by Edg Clif Farms and Vineyard. The event is a 5-course dinner which begins at 5:30 under the pavilion with appetizers featuring Edg Clif wine & beer, craft cheeses and sausages hand made by this year’s guest chef Jon Emanuel of the Old Caledonian B&B. Each year the Field Dinner supports two Agriculture scholarships and a Farm Business grant for Washington County residents. Past winners and featured producers are invited to speak at the Field Dinner. Tickets are $60 per person and will be available on July 1, 2018. Call Debby at 573-438-8555 for tickets, reservations or more information.